Karyn Ellis » Hello, 2013! « One more week in Europe! I’m back from a cabin in the woods of northern Ontario where I spent five days huddled by a woodstove bringing in the new year in countryside silence, full of stars. I’m in Toronto again at The Rooster for a couple more weeks to (fingers crossed) finally finish up the tracking / mixing of More Than A Hero! Woo! Almost done! If you haven’t done so already, become a backer of the album. Visit this page: http://www.karynellis.com/jump-in-be-a-backer/ By backing / pre-ordering, you’ll get your name in the liner notes, handwritten postcards and other thanks you treats. We’re just about at 100 backers now! 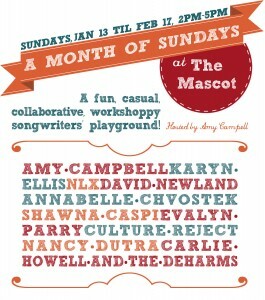 Next Sunday afternoon (January 13th) I’m playing at Amy Campbell’s “Month of Sundays at the Mascot”, Queen’s West Toronto. 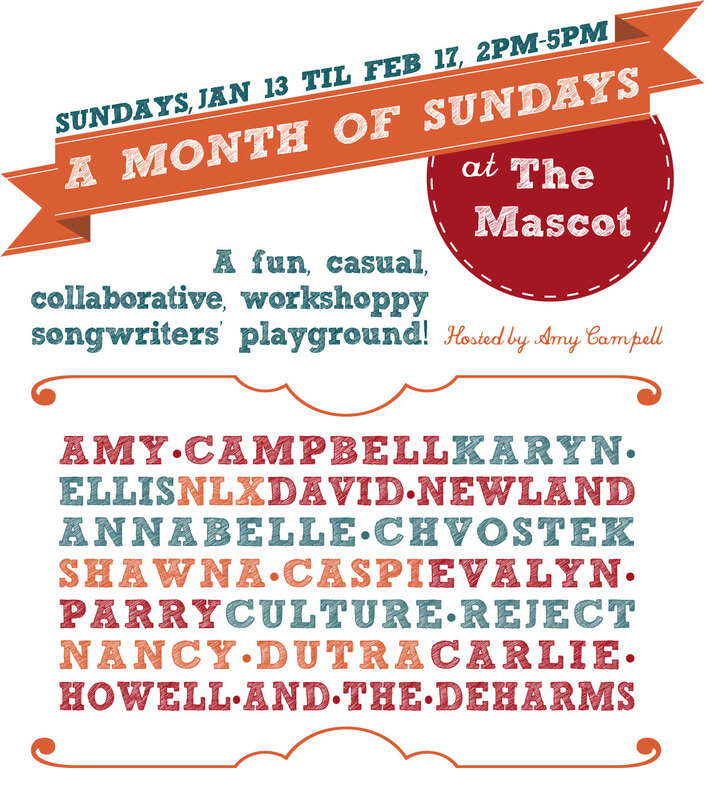 It’s an afternoon show: 2pm to 5pm, more of a songwriters’ workshop / collaborative thing. For details, see my live show listings here.